Siân Summers-Rees (s.summers-rees@asylumjustice.org.uk) for further information on joining our fundraising team. Hussein Said (h.said@asylumjustice.org.uk) for further information on joining our communications team, admin team or on becoming an interpreter. 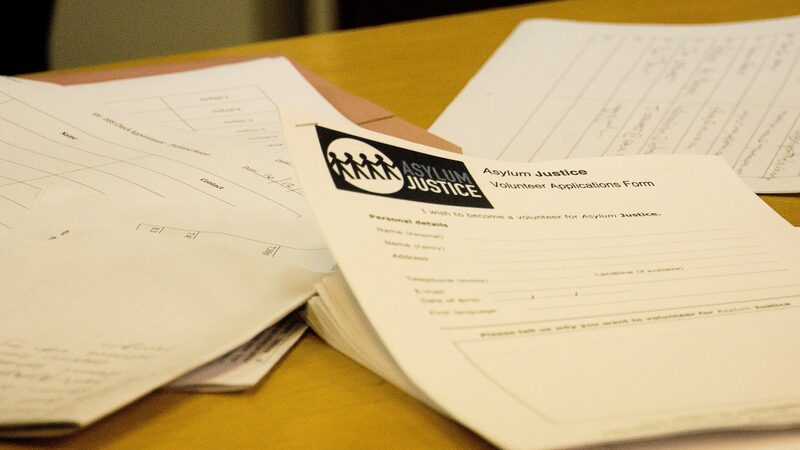 Tudor Etchells (t.etchells@asylumjustice.org.uk) for further information on joining our drop-in team. Download the Volunteer Application Form as PDF or Word.